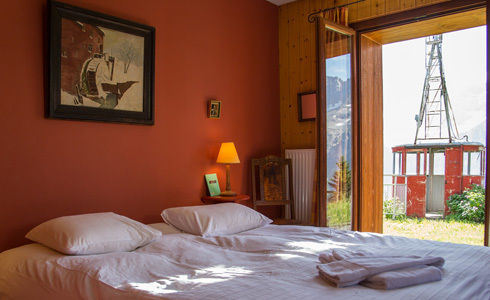 Double room (double bed or twin beds), from 20 to 25m², located in the main building, balcony with large view of the Dents du Midi, Dents blanches or Col de Cou, bathroom with bath and wc. 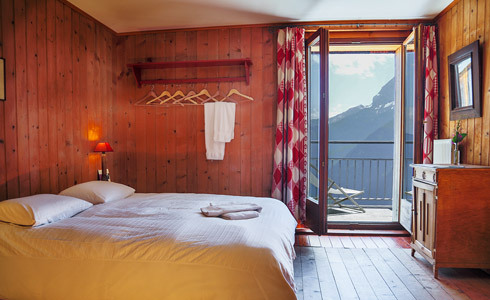 Double room (double bed or twins beds), 20m² located in the main building with balcony and view of the Dents du midi or Col de cou, bathroom with bath and wc. 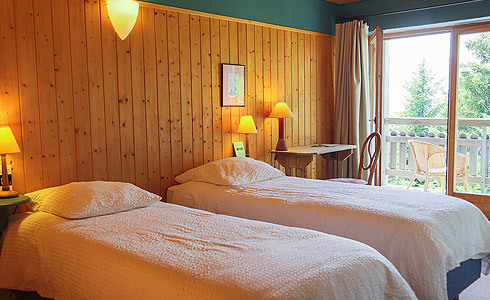 Double room (double bed or twins beds) from 17 to 20m² with view of the Dents du midi (shelter) or alpine (main building), bathroom with shower ou bath and wc. 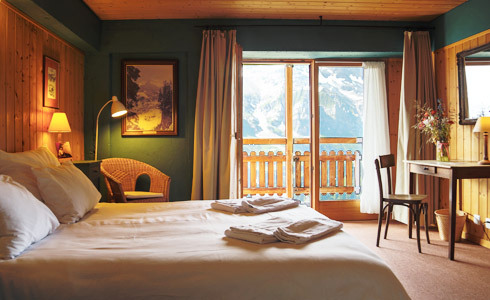 Double room (double bed), 15m², located in the shelter with view of the Dents du Midi, bathroom with shower or bath, common wc. 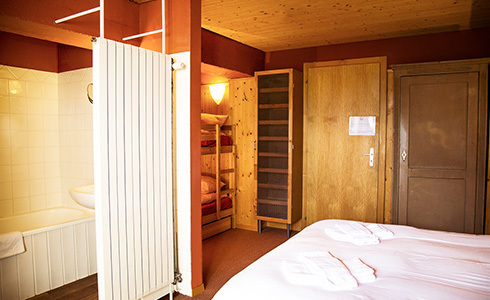 Big rooms from 25 to 30m² (double bed or twin beds + 2 bunk bed) located in the main building, balcony with view of the alpine, Dents du Midi or Col de Cou, bathroom with bath and wc. 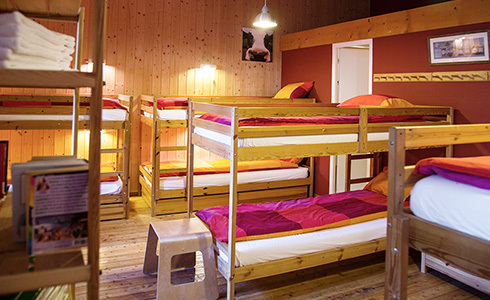 Big rooms from 20 to 30m², with 6 or 10 bunk beds, located in the main building or in the shelter, bathroom with wc. 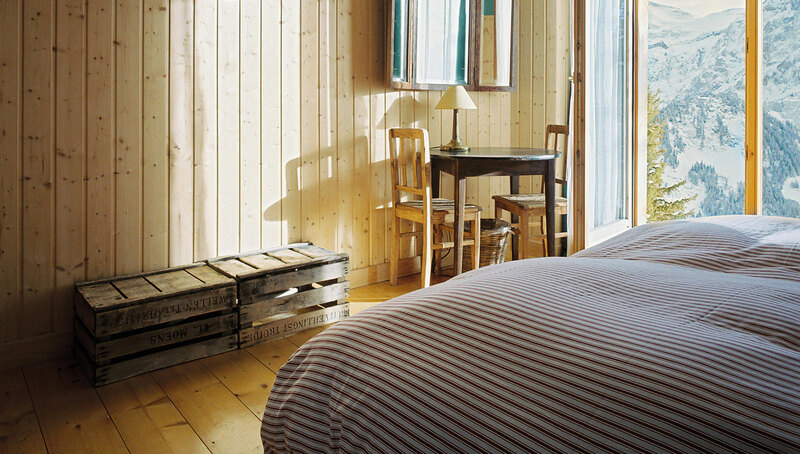 Plein Ciel welcomes you this winter from December 22nd to April 19th, from Saturday to Saturday (7 days), from Saturday to Wednesday (4 days) and from Wednesday to Saturday (3 days). For special requests and Kids rates (under 12), you can contact us at the following address: info@pleinciel.com or at +41(0)24-479.28.38. Method of payment: CHF, euro, Visa, Mastercard, credit card EC.